Shripad Yesso Naik addressing at the inauguration of the National Health Editors’ Conference on Yoga for Holistic Health-Recent researches, jointly organised by the Ministry of AYUSH and Press Information Bureau, in New Delhi on June 08, 2016. Yoga provides an effective way to overcome health disorders, a minister said on Wednesday. 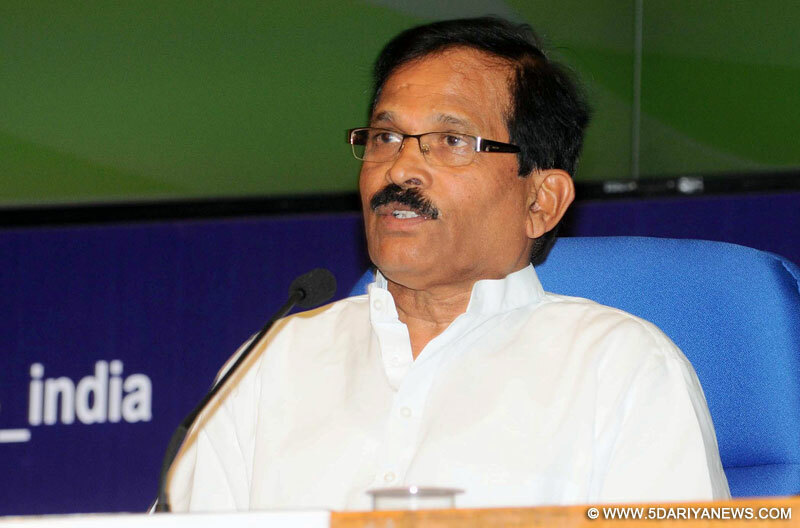 "Most modern day health problems are because of faulty lifestyle and yoga is an efficacious means to overcome these disorders," Minister of State for AYUSH (Department of Ayurveda, Yoga and Naturopathy, Unani, Siddha and Homoeopathy) Shripad Yesso Naik said. "The uniqueness of therapeutic benefits of yoga is that it can work along with any other modern medicine prescribed by the practitioners," Naik said while inaugurating the National Health Editors' Conference on yoga here. "Yoga is popular worldwide and has reached almost every part of the globe. People practice yoga in some form or the other for spiritual or health purposes and to overcome some stress," he added.Lavishing praise on yoga schools that have tirelessly propagated and promoted it, Naik said the first International Day of Yoga celebrated on June 21, 2015 was a success because of these organisations.